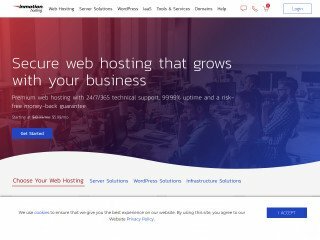 Our 2018 Best Unix Hosting Award goes to WebHostingHub.com, a U.S.-based web host that's been providing powerful unix hosting services since 2010. Stable and secure hosting environment is what makes Web Hosting Hub the number one choice for those looking for reliable Unix web hosting. Their servers run on the latest version of Enterprise Class Linux OS (CentOS) - stable, secure, flexible Unix-like platform with finely tuned configurations so you can get the most out of your hosting account. When searching for a Unix-based solution for your personal website and blog, there’s a multitude of options in the industry. However, which provider caters up the absolute best solution for your Linux needs, both professional and amateur? 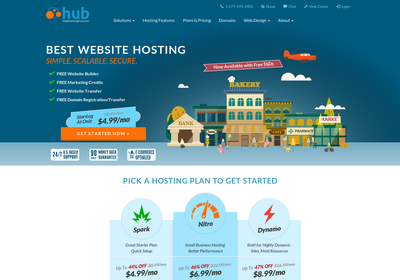 Based on our experience and customers feedback “Best Unix Hosting” choice is Web Hosting Hub. Considering there are so many Linux-based hosting options, we really had to sift through the competition to reach a final verdict. That being said, Web Hosting Hub met all of the criteria we sought. 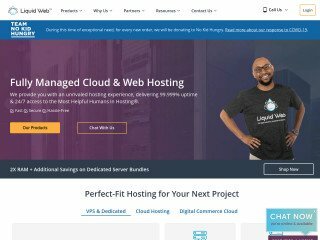 We appreciate the provider’s cheap (and Unix-studded) monthly pricing plans, and if you’re looking for a budget way to host your website on a Linux base, Web Hosting Hub is by and large the option to consider. The cheapest plan offered bottoms out at a scant $3.95, though without losing any hosting quality in the slightest. For just four bucks a month, users can enjoy full CentOS, one of the most stable Unix-like server operating systems. The system comes with an impressive amount of configuration options, ensuring you’ll get the most out of your Linux substrate for less bank. 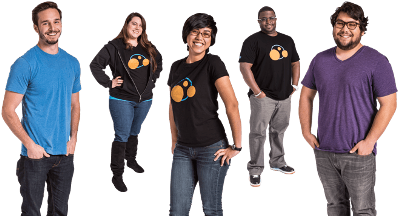 Four bucks a month with Web Hosting Hub also earns you unlimited email accounts, disc space, bandwidth, and even unlimited websites—all of this, of course, delivered to you with a CentOS user interface. Furthermore, we can’t get over the fact that Web Hosting Hub offers a full, money back guarantee up to three months after the start of your service agreement. Are you unhappy with the performance of your Unix hosting after 90 days of use? No problem! Web Hosting Hub will happily give you your money back without any fuss at all, no questions asked. That’s a bargain in its own right, though we don’t think you’ll need to cash it in. To top things off, the provider also comes with one of the best tech support services we have ever seen. Their U.S.-based call and chat centers are open 24 hours a day, seven days a week to help you with any Unix problems you may have. And considering each and every one of Web Hosting Hub’s technicians is Unix-certified, the company is the ideal provider to guide you through your CentOS hang-ups. 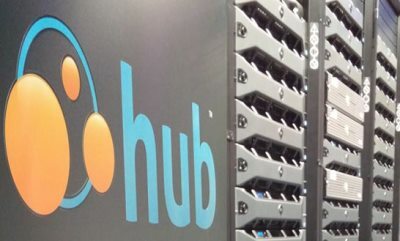 With Web Hosting Hub, it’s never been easier, or cheaper to set up your own, Unix-based site. With up to date, enterprise-ready CentOS coming stock on each and every server the company owns—not to mention Web Hosting Hub’s dedication to Linux tech support—there’s no better way to dive off the Windows train and into the world of Unix hosting. Overall, Web Hosting Hub provides quality web hosting services and helps people easily get their websites online fast. Their shared hosting plans are reliable, scalable and affordable. Unix is one of the oldest operating systems in circulation. Unlike Microsoft Windows and Apple's Mac OS X, which are household names in the desktop environment, this particular system made its claim to fame as a platform for workstations and servers. Though it is not used as commonly as other systems, Unix is arguably the most influential operating system of all time. In fact, several operating systems have been designed in its likeness, including Linux, BSD, FreeBSD, and all versions of Mac OS X. Although you will not find it installed on many home and office desktops in comparison to Windows, Unix is a dominant force in the web hosting arena, where it has a reputation as a bonafide workhouse. 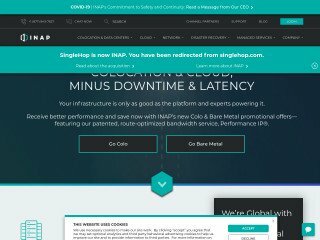 From low-cost budget offerings to premium e-commerce solutions, this robust platform forms the backbone for just about any type of hosting you will find on the market. Considering its track record, one might think Unix was specifically made for this environment. Affordability. One of the most commonly touted benefits of Unix is its cost-effectiveness. Though it is not an open source operating system like many of its derivatives, it is fully compatible with a variety of open source technologies, which in turn, usually makes it a very affordable option for hosting. Security. Unix boasts great security right out of the box. While no system is 100% foolproof, this platform has a long history of being incredibly resistant against security threats that plague other systems, particularly Microsoft Windows. Reliability. The stability and overall reliability of operating systems, in general, have improved throughout the years, but Unix is still considered the head of the class in this regard. 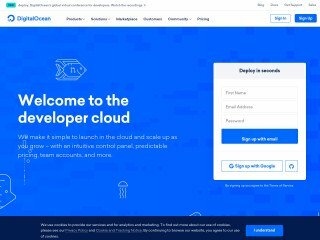 Plenty of processing power and a well-designed architecture has made this system one of the most dependable hosting platforms around. How to Choose the Best Unix Host? This is your ultimate guide to see if Unix hosting is the right choice for you. Also, we’ll cover what you should look for when choosing the best Unix hosting provider along with the feature in each Unix hosting package that will give you the most value for your budget. First, it's essential that you understand the primary differences between Unix hosting and Linux hosting. Although the two operating systems are similar in many respects, there are also distinct differences that will make you choose one over the other. To best illustrate the difference and similarities between Linux and Unix, you should look at Linux as a Unix compatible system. Linux borrows many of the features and code of Unix, which was initially developed in 1969 by Bell Labs. Unix is an excellent operating system choice for web hosting, for many reasons, as we'll discuss in this guide. Also, in addition to discussing the benefits that you could see from choosing Unix web hosting, we’ll also cover some of the potential drawbacks of the operating system and if you should be concerned with them. After you finish reading this guide, you should have a better understanding of Unix hosting providers, and you’ll be able to choose the best service package that will meet your website’s needs. Let’s get started! Unix was initially developed as a convenient platform for computer programmers. They used it to build software, and up until the 1980's, the system wasn't universal. By the 1980's however, the platform had grown in popularity and was the first choice among programmers and computer enthusiasts. They used Unix because it provided them with a portable operating system solution, and it focused on multitasking. While Windows uses a graphical user interface by default, Unix typically doesn't have a pretty user interface. Many users prefer this because they have the choice to use any graphical user interface they want when managing and interacting with servers. Many of the most popular Unix hosting providers understand that developers rely on graphical user interfaces to perform their day to day website management duties. For this reason, Unix hosting providers will offer some form of graphical management options for their customers. Although these features can typically cost extra and you might lose some freedom that working with a command line can provide. If you are relatively new to server management, however, a graphical user interface will come in handy and take away a lot of the confusion. Who can Benefit from Unix Hosting? Unix hosting is an excellent choice for any website that is built on any of the most popular platforms available on the market today. If you believe that you will need to serve dynamic content on your site using either CGI or PHP scripts, Unix hosting is an especially excellent choice for you. 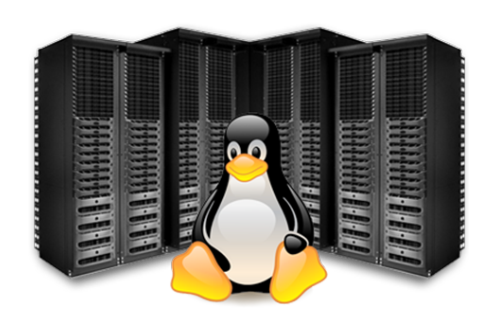 Most Unix hosting packages are compatible with this content even more so than a typical Windows server hosting package. With that in mind, if your website depends on ASP, MS SQL, or ColdFusion database, Unix hosting might not be the best selection for you. Most people will choose from either Windows or macOS based web hosts because they are familiar with the operating systems on their personal computers. 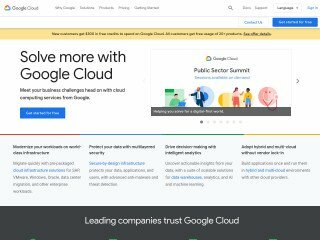 Even so, when you're selecting the server that will host your website, sometimes familiarity takes a backseat to compatibility, freedom, and reliability. In the world of web hosting, Linux and Unix are the most popular selections. Here are a few of the benefits of choosing Unix hosting over other operating systems. One of the core benefits of choosing Unix hosting is the reliability it will provide your site. Down to the base code of the operating system, it is designed to handle high server loads. It also doesn’t require frequent reboots when you compare it to other operating systems. When it comes to hosting a website, especially one that experiences high traffic rates, reliability should be a top priority as you shop around for different hosting providers. The final significant benefit of choosing Unix web hosting comes down to the price. Unix and Linux are open source software, meaning that they are free to download. You won't need to pay a licensing fee each year as you would with Windows and this will bring the price down significantly. While this might not seem like a significant cost if you are using a shared hosting package, if you venture into advanced options like dedicated hosting or VPS hosting, you'll notice a considerable cost benefit from choosing Unix web hosting. There aren’t many drawbacks to choosing Unix web hosting, however, just like any technology, Unix web hosting won’t serve everyone’s web needs 100%. For example, if you already rely on Microsoft web technologies, Unix won’t be compatible and therefore would not be the best choice for you and your website. Also, a reliable and stable Unix hosting environment relies heavily on the administrator’s technical skill level and comfort with shell commands. For example, when using a Windows-based hosting package, you can get your website up and running in only a matter of clicks. With Unix web hosting, on the other hand, you need to enter commands into the system, and if you enter the wrong command, you could cause damage to your server and website. It’s important to note that since Unix web hosting can be more challenging to work with because of the lack of a graphical user interface, you need to make sure that your selected hosting provider offers a management system like Plesk or cPanel to help make your server management efforts easier. Also, you need to look for Unix web hosting providers that will offer installers. These tools will help make it easier for people unfamiliar with command line interfaces to install software on their server correctly. 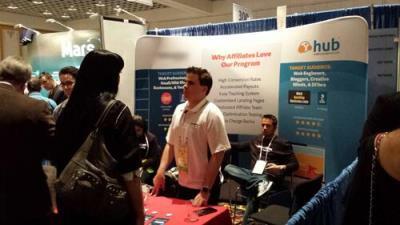 The final thing to look for is to see the selection of applications that the host offers. The best Unix web-hosting providers will have an entire library of apps for you to choose from. Consider the applications that you need or want to run on your website and double check to make sure that the Unix web hosting provider will support these web applications. The most important factor that you should always consider when selecting a web-hosting plan – no matter the operating system – is uptime. You should always look for a provider that promises or guarantees at least 99% uptime. Anything less is unacceptable in this day and age. When you’re looking at Unix web hosting plans, this shouldn’t be an issue since the system is known for its reliability. Even so, if you come across a host the will not promise 99% uptime, look elsewhere. There are plenty of other options on the market that will guarantee it, and it could be a sign of other problems with the hosting provider. You should also pay attention to the cost of the packages. Many of the best Unix web hosting plans will offer competitive pricing, and their plans should never cost as much or more than their Windows packages unless they provide additional features and functionality. The third consideration is the customer service that the provider offers. Depending on your experience with web hosting and server management, you might need more or less assistance. Typically, with open source software like Unix, the provider might expect that you are computer savvy enough to seek out answers on your own. If you are great, if not you will want to ensure that the provider will be there to help you, should you ever experience any problem. Look for 24/7 phone support, and try to avoid a host that has a service ticket system since this can take longer. Unix web hosting is the most compatible and reliable web hosting system available. While it might not be for more inexperienced users or people that don’t demand a ton of resources, if you expect to experience high traffic numbers on your website and want maximum flexibility, it is an excellent choice. Another benefit of choosing Unix web hosting is the scalability. As your website grows and you make changes over the years, your server should be able to keep up. Try Web Hosting Hub FREE for 90 Days! Smart, reliable, scalable and affordable plan to fit any hosting needs from blogs and personal sites to e-commerce storefronts and custom websites.